Install the application on your mobile device. Paired HD transmitter name (2) – tap the information icon is next to the receiver name to display the device parameters (see Viewing Device Parameters below). Around Me (4) – list of other CONNEX ProSight receivers in the area. 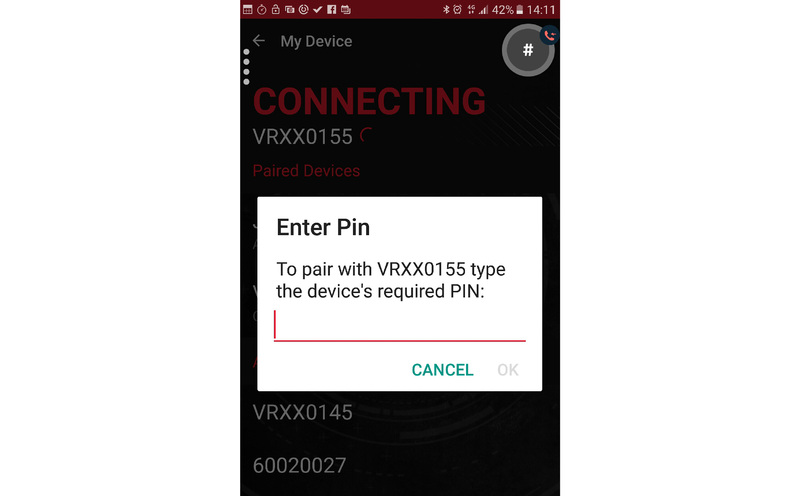 Selecting a device that is not already paired requires entering a pairing code (see How to manage my Bluetooth connection?﻿ ). 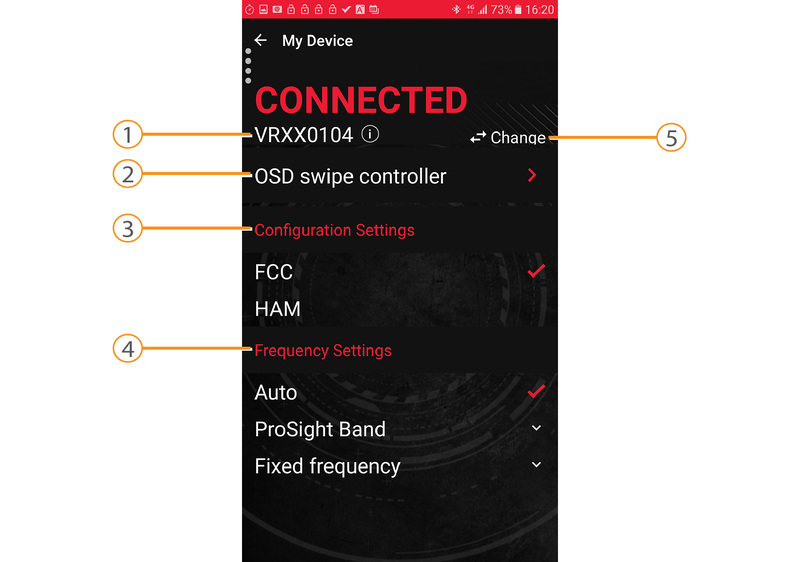 This section shows how to initiate first communication between a mobile device and the HD receiver. 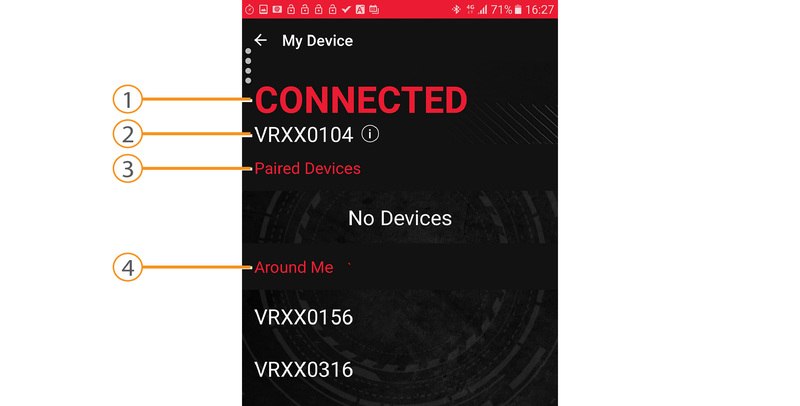 Verify that bluetooth on your mobile device is On. Select a device from the Around Me list (see Home Screen Overview). The system displays a message, asking to enter a pin code. 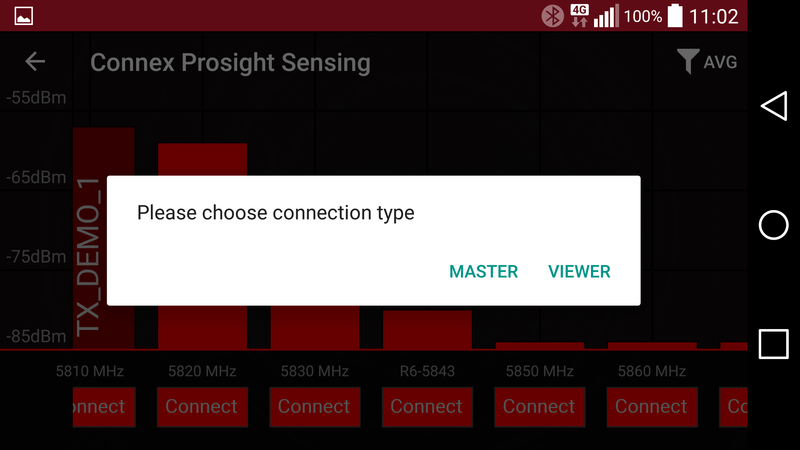 Enter the bluetooth pairing code that appears in the Bluetooth OSD menu and click OK (see How to manage my Bluetooth connection?﻿ ). 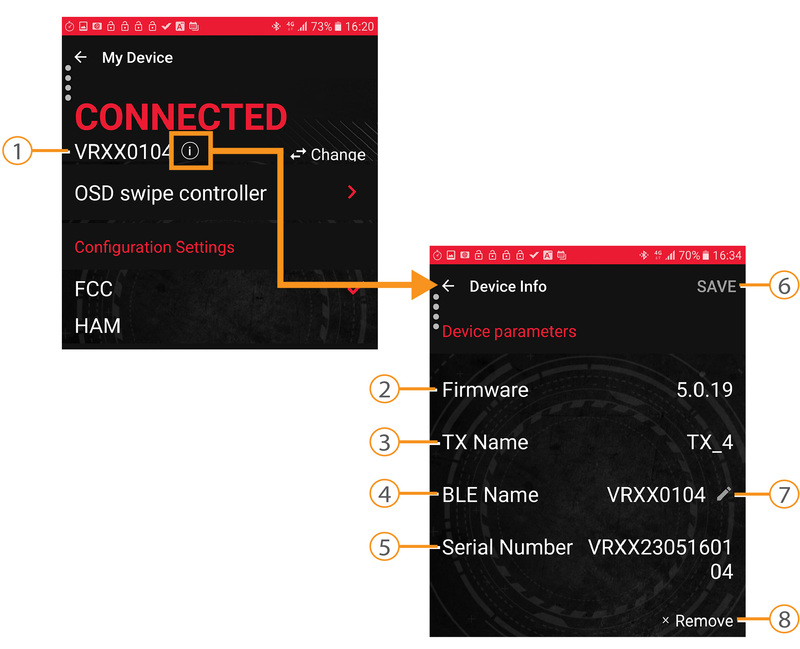 OSD Swipe Controller (2) – enables controlling the On-Screen Display on the connected monitor or FPV goggles (see Using the OSD Swipe Controller﻿ ). 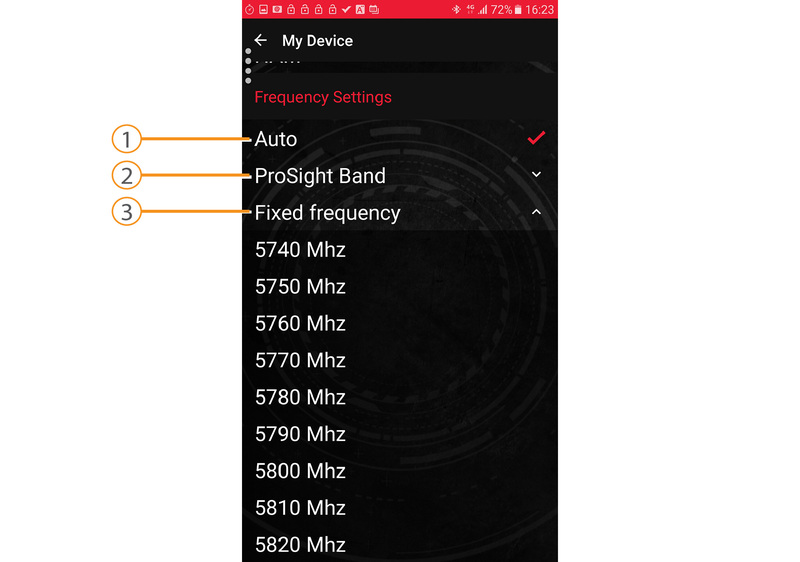 Frequency Settings (4) – enables selecting a frequency mode (see Frequency Management﻿ ). 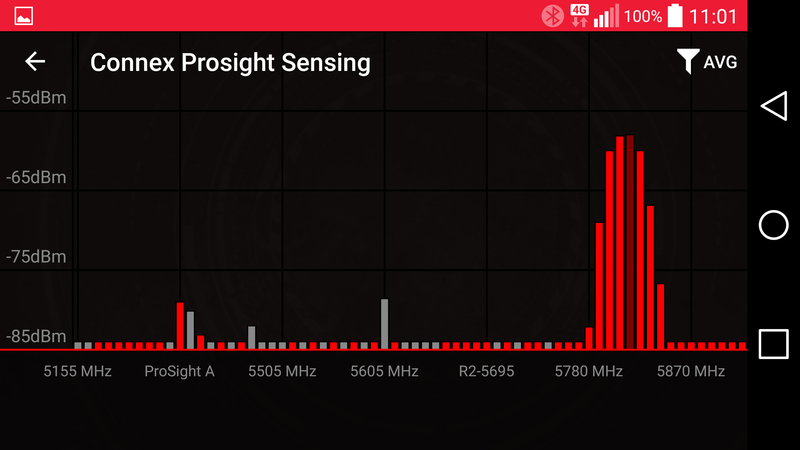 The spectrum analyzer measures and displays the magnitude of signals versus frequency within the Connex ProSight frequency range. 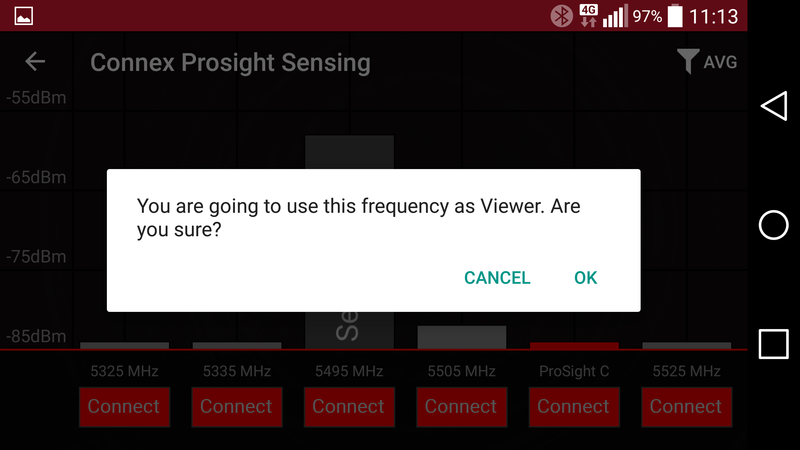 The spectrum analyzer is an excellent tool to select the optimal frequency for your Connex ProSight. 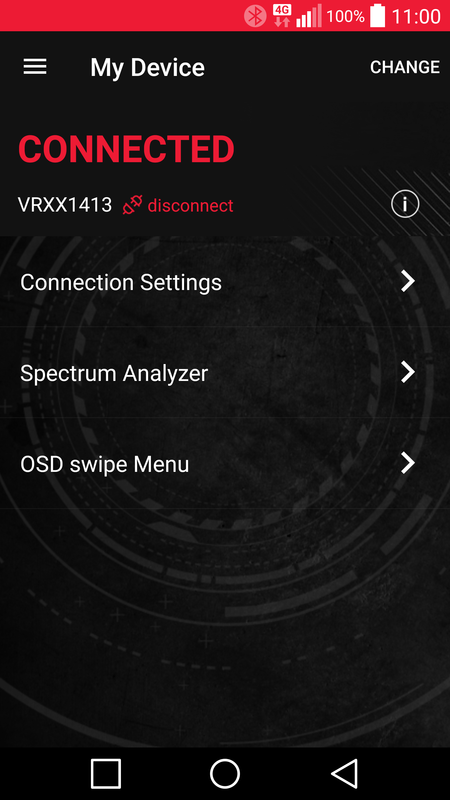 Tap Spectrum Analyzer. The spectrum analyzer screen appears. 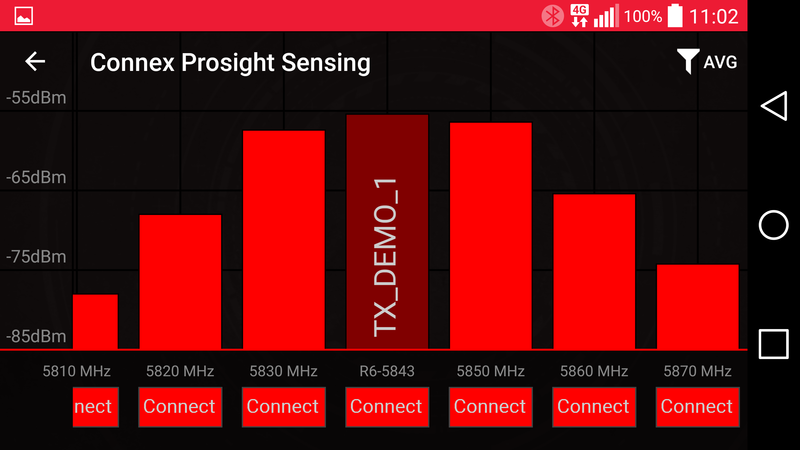 Dark red – represents Connex Prosight HD transmitter that transmits on a frequency that is within the regulatory band. Red – represents another device that transmits on a frequency that is within the regulatory band. Dark gray – represents Connex Prosight HD transmitter that transmits on a frequency outside the regulatory band. Gray – represents another device that transmits on a frequency outside the regulatory band. AVG – displays the average measured energy. MAX – displays the pick of the highest energy. Click the Connect button of one of the red channels. a message appears. Connecting as a MASTER– both HD transmitter and HD receiver are switched to the selected frequency. Connecting as a VIEWER – the HD Receiver is switched to the selected frequency and searches for a transmitter on this frequency. Click the Connect button of one of the gray channels. A message appears informing you that you are able to connect as a viewer. Click OK to Confirm the message. The HD Receiver is switched to the selected frequency. 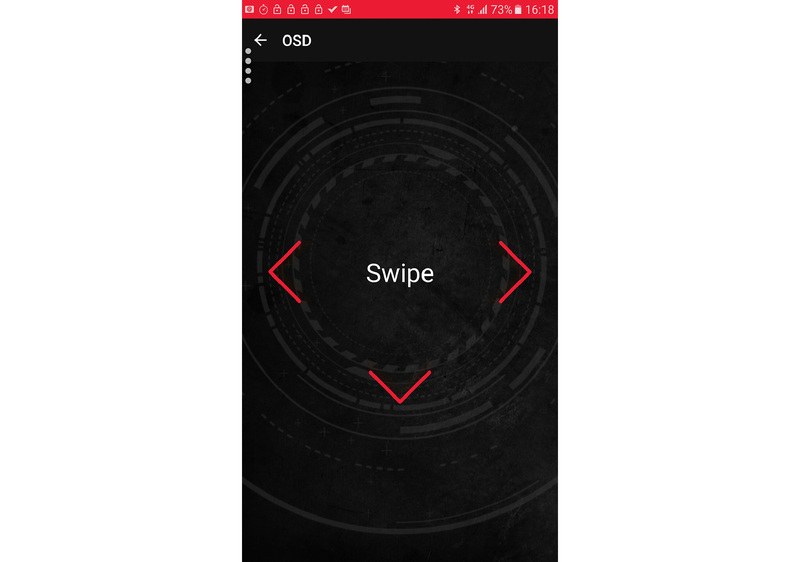 The OSD Swipe Controller enables controlling and navigating in the OSD on the connected monitor or FPV goggles (see Navigating in OSD Menus). The application swipe commands replace the need to use the HD receiver control buttons (see Navigating in OSD Menus). Functions like the MENU button: starts the OSD display or selects a menu option. 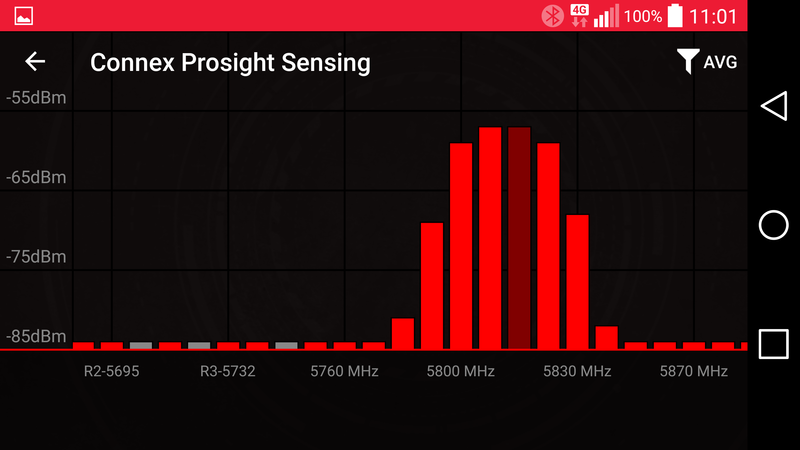 For more information on Frequency Management, see CONNEX ProSight Frequency Management﻿.